Today I bring to you a story from a different hemisphere. A story about arguably one the most impactful figures in all of sport. You have heard me speak with passion about American Football, Baseball, Basketball, and the people in those sports that have changed the game. Today I share Manchester United’s Sir Alex Ferguson’s secrets of persuasion and turn them into Channel Marketing lessons. I found the story at one of my favorite blogs spots http://influence-people-brian.blogspot.com/ . Brian Ahearn is a friend and master of persuasion and one of only 20 Cialdini Method Certified Trainers® (CMCT®) in the world. He recently shared a post from Sean Patrick a fellow Cialdini Method Certified Trainer. Move the Channel: Do your channel partners put themselves before winning titles? Culture. Move the Channel: To find the best partners, we need grassroots “talent scouts” too. Recruiting. Move the Channel: Have you developed an academy and channel training strategy the produces the most successful teams? Training. Move the Channel: Does your organization have you finger on the pulse of every area of the Channel Ecosystem? Pulse. Move the Channel: Are you holding your channel partner accountable and “coaching them up”? Goals and QBR Process. Move the Channel: Have you fired a channel partner recently and focused on ones showing great potential? Should you? Move the Channel: Do you demonstrate respect, fairness, and empathy toward you partners? Move the Channel: Do you invest to retain and coach your partners that have potential to be great? Coaching. Move the Channel: Do your channel partners feel like they are part of something bigger than themselves? Inspired. Move the Channel: Do you have a channel rewards and incentive program that helps your channel partners hear “well-done”. Channel Incentive Programs. 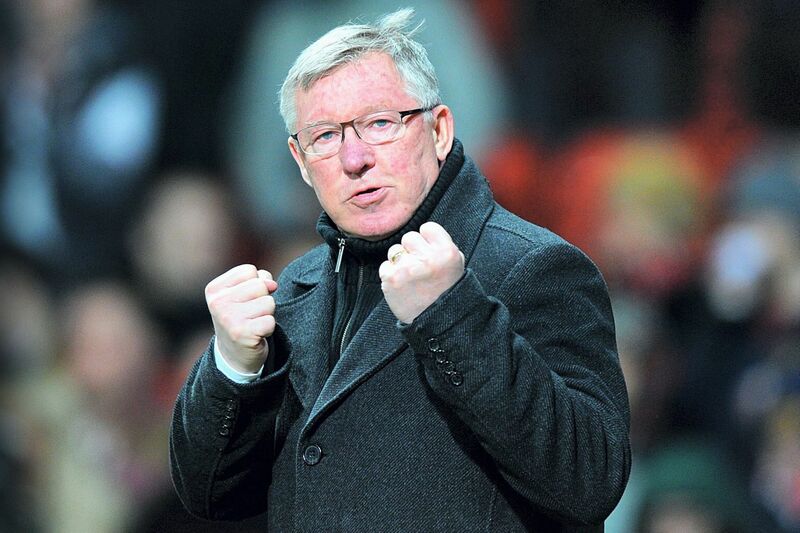 In May 2013, Sir Alex Ferguson or SAF as he’s otherwise known as, stepped down as manager of Manchester United. He had just won his 13th Premiership title, the most successful and highly decorated manager in English football. This ended his 26th season in charge of one of the biggest sporting franchises in the world. During his time at Old Trafford he won 38 titles including two UEFA champions league trophies. 1.) Ferguson took control of the club at a time when player status was more important than winning titles, over the course of four seasons and under severe pressure to deliver, he transformed the club from the inside out. 2.) He employed countless talent scouts to find the best youth players at grassroots level and 3.) developed an academy that produced one of the most successful teams in English football history. 4.) Every season a major development was installed inside the club that cemented United’s ability to find and retain the best playing staff. Ferguson was well known for having his finger on the pulse in every area of the club. Only Matt Busby, a legendary former United manager had any such influence across the entire club. So how did he do it? Ferguson was well known for his ability to psychologically influence the players around him and rival managers. Ferguson believed that the key to success was to make sure that every player put in 100% during training. He never allowed a bad training session as this proved a player would find mediocrity acceptable, he knew bad habits form quickly. 5.) He ensured that every player who under-performed at half time became aware of their poor performances thus the legendary motivational skills reared itself in the dressing room. Former rival manager Jose Mourinho claimed Ferguson was the master of the ‘second game’, sing the media to motivate his team and to begin, as he put it, ‘to play the next game before it starts’. The club and everyone around him knew he was the authority figure. If a player tried to take over the dressing room or put in a poor performance he was either swiftly removed from the club or was given a severe face-to-face screaming which had become known as the hairdryer treatment. His authority was without question embedded into the organization. 6.) Over the course of his 26 season reign he made difficult choices and this came in the form of releasing established world class players such as Roy Keane, Jaap Stam and David Beckham to make room for untested younger players such as Wayne Rooney and Cristiano Ronaldo who became medal winners at United. There was another side to 7.) 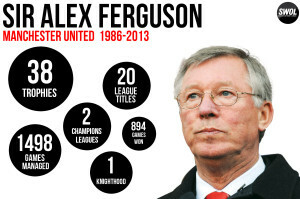 Ferguson, he was liked and respected. He was treated respectfully by senior management and back-room support staff and reciprocated respect by demonstrating fairness and his ability to empathize. These skills were tested during the season of 1995-96 when maverick player Eric Cantona attacked an opposition supporter Kung-Fu style and consequently given a heavy suspension lasting several months. 8.) Over the course of this period, Ferguson mentally coached Cantona, firstly to retain his services and secondly to mentally motivate and prepare the player for his return. Subsequently, Cantona blossomed to become a model player and became club captain helping United secure more silverware. This method of psychologically preparing and motivating players culminated in United’s first UEFA Champions league title in 1999. They faced a tough fixture against Germany’s Bayern Munich. At half-time United were trailing, he reminded his players that if they lost the match they would not as much be allowed to touch the trophy, just amble past at a safe distance wearing their losers medal. 9.) One of the players later recalled that Ferguson’s inspirational speech turned fearful men into world-beaters. During that same season, United became the first side from a major league to win the treble of Champions league, English Premier league and League cup in a single season. Ferguson understood the importance being consistent. One of his key skills in improving the preparedness of his players was his use of storytelling and being to talk to each player individually. He liked to change the themes of his team talks with regularity. “I once heard a coach start with ‘this must be the 1000th team talk I’ve had with you’ and saw a player quickly respond with ‘and I’ve slept through half of them!’ If a player was to sit out a game, he gave a personal and very frank conversation that conveyed empathy and instilled confidence in the player.